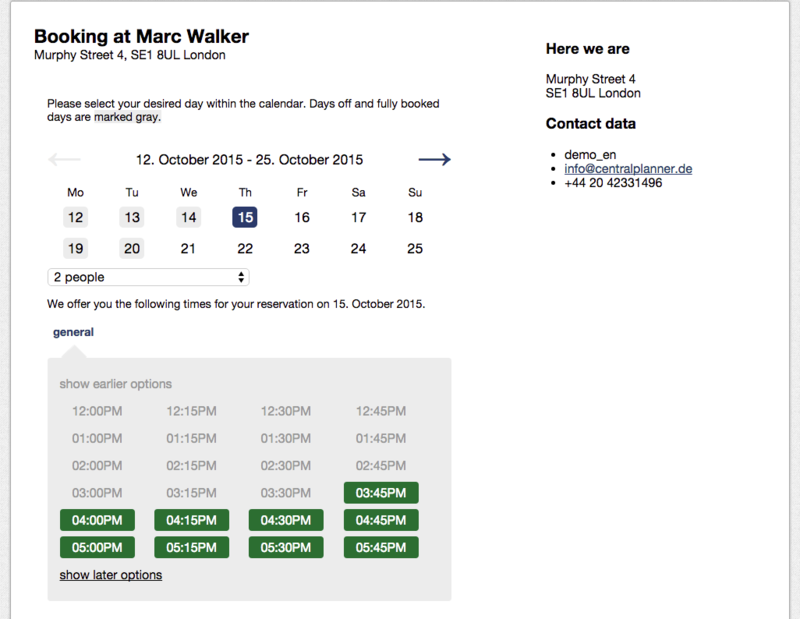 A reservation system that manages all of your guest's bookings online. 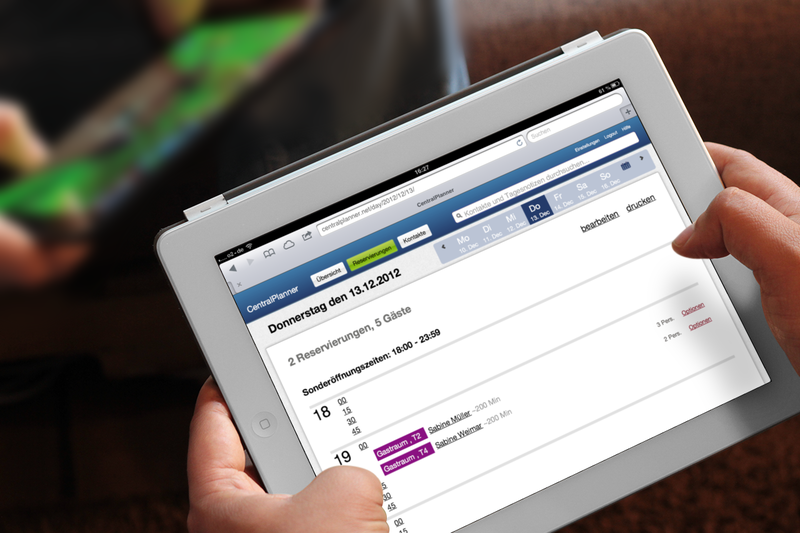 Easy and intuitive to use, CentralPlanner manages your bookings digitally and replaces the traditional reservation book. The reservation system for your organization. 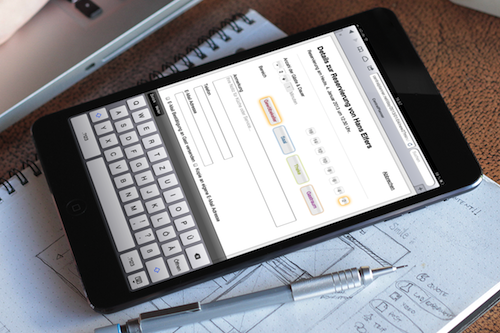 CentralPlanner does not only replace the traditional reservation book made of paper, but it is also more flexible than it's predecessor. 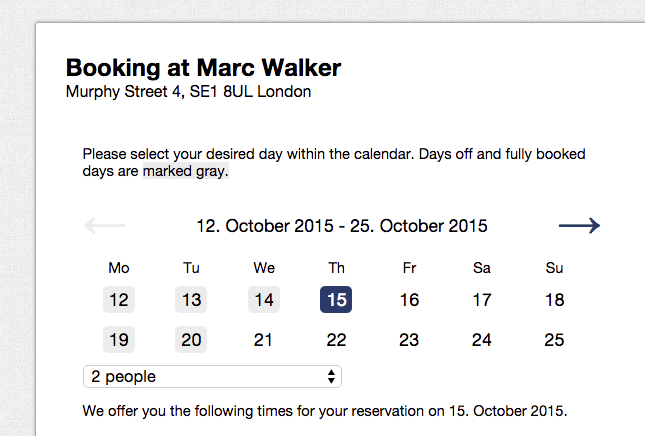 It is well-arranged for you to store all the important details of a reservation. 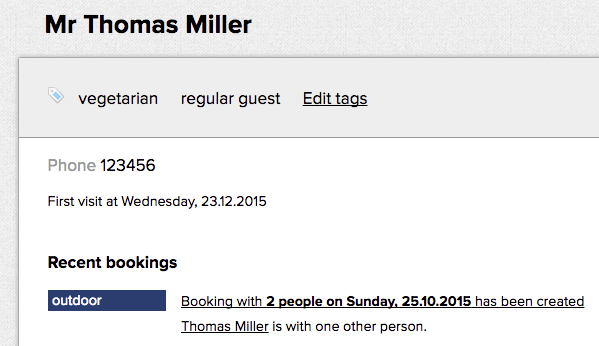 Furthermore, your guests can book reservations without calling you. 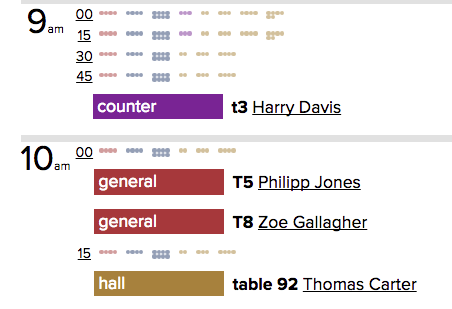 Thanks to this feature tables can be booked independently from time and place. Most importantly, however, information do not get lost with every new book like it used to be. Serve your guests regarding to the preferences you still know from their last reservation or send them suitable offers via e-mail. 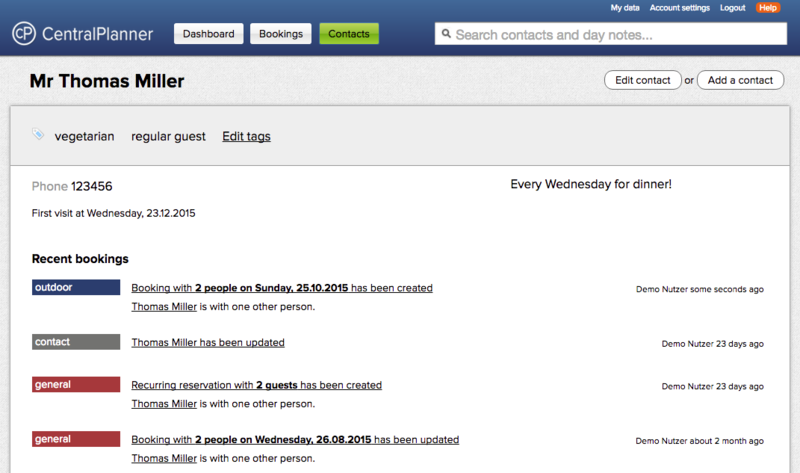 All this is possible with the reservation system CentralPlanner. CentralPlanner does not need installation, updates or security backups. Since it is a Software as a Service (SaaS) reservation system you do not need anything but a web-enabled end device and online access. 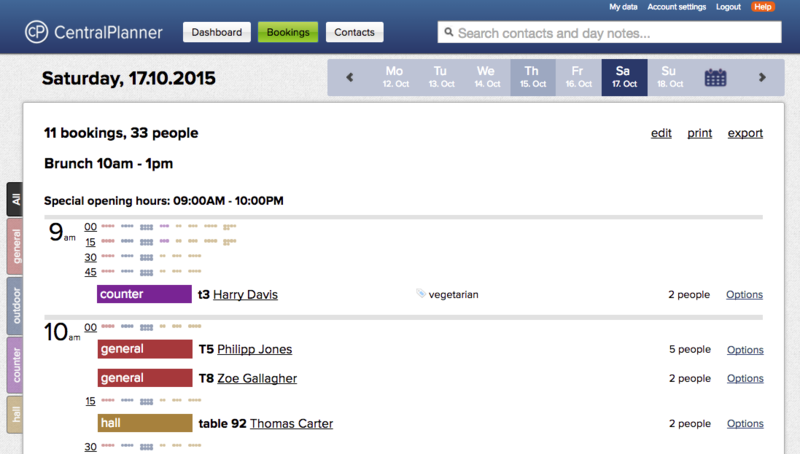 It does not matter if you prefer using CentralPlanner on your Windows computer, on your Mac or on your smartphone. Your data is safe and protected in a computing centre in the South of Germany. We take care of updates and security backups – you only have to take care of your guests. Give our reservation system a try and run our 30-day free trial.